GREENSBURG, Pa. - A 16-year-old boy charged with stabbing 20 students and a security guard at his western Pennsylvania high school has been granted a furlough to attend a funeral home visitation for his grandmother. The order signed by a Westmoreland County judge allowed Alex Hribal, of Murrysville, to attend the visitation from 1 p.m. to 2 p.m. Wednesday at a Mount Pleasant funeral home. 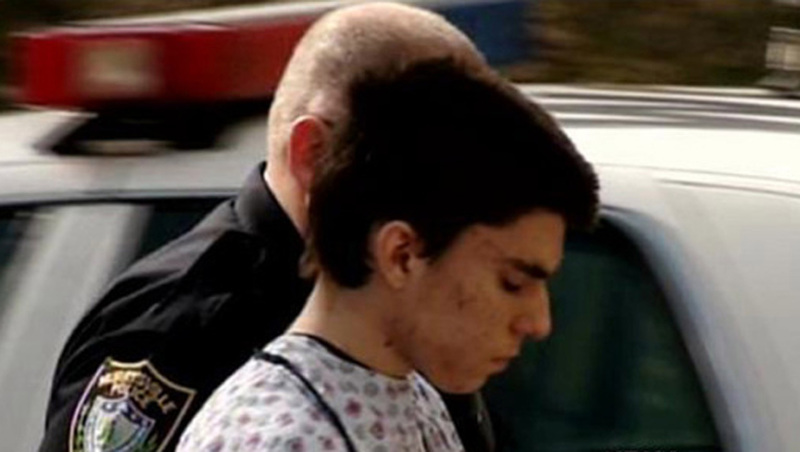 Sheriff's deputies were present to guard Hribal during the visit and immediately returned him to a county juvenile detention center where he's been jailed since the attacks April 9 at Franklin Regional High school. Another judge has scheduled a hearing Sept. 26 on a defense attorney's request to have Hribal moved to a secure mental health facility while he awaits trial either as a juvenile or an adult.